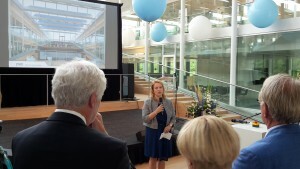 The MEP Water Group chairwoman, Esther de Lange, was among the official speakers of the ceremony. 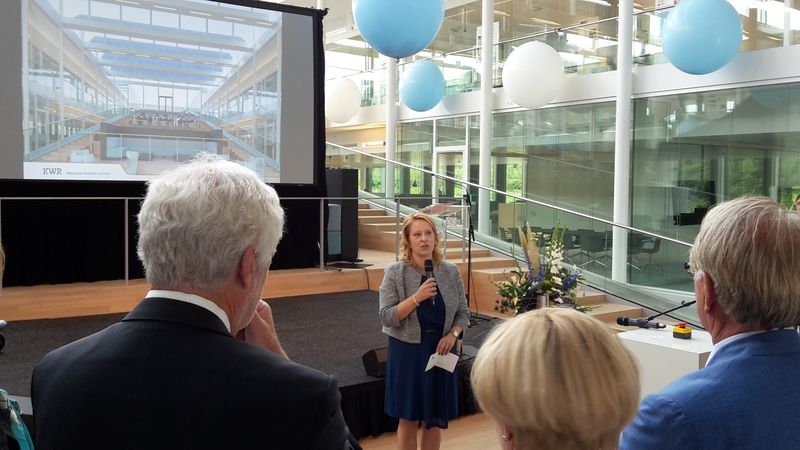 The chairwoman highlighted that the Netherlands is not only a European champion in water management but also a global player in knowledge and expertise in the water sector. She added that water still suffers too much from sectarianism on a policy level. ‘’For many years, water was seen merely as environmental issue (with eg. The Water Framework Directive) that had to be discussed within the Environment Committee. However, water is about everything: raw materials scarcity, geopolitics, energy production, urban planning, the Digital Agenda, etc.’’ Esther de Lange underlined that circular economy is an opportunity but there is the risk everyone applies circular economy on their own terms, with no one leading the way. The chairwoman also made a reference to the MEP Water Group and its activities. The MEP Water Group met with the European Commissioner for Research, Science and Innovation who assigned the water sector to come up with concrete suggestions for innovation. Lastly, Esther de Lange stated that as the world population is growing, Europe needs to be smart . As a long-standing member of WssTP, KWR is known for its outstanding research in the water sector and its invaluable contributions to society. KWR’s new and flexible complex contributes to the research institute’s ambitions by meeting the latest sustainability and environmental-integration standards. A building dedicated to collaboration, knowledge sharing and innovation. To learn more about KWR activities, please visit KWR’s website.